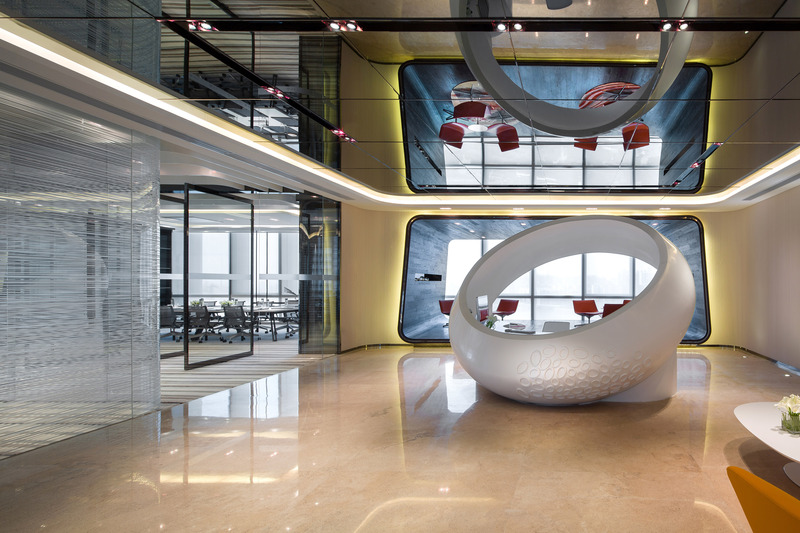 This boutique office was designed for a private equity fund company in Zhujiang New Town, Guangzhou’s newly-built CBD. 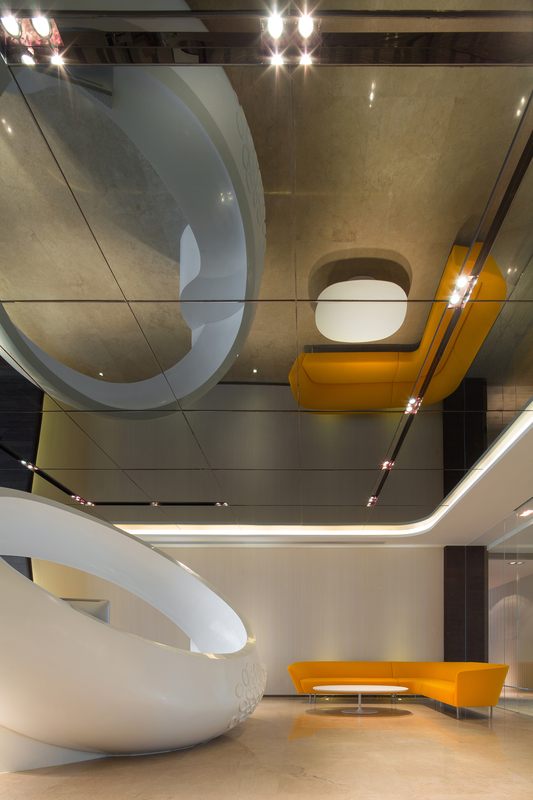 The overall interior design concept embraces an international outlook through openness and superior quality. The sensibly-articulated space is a harmonious display of architecture and arts, rigidity and softness. The designers streamlined the office functions and created a crisp, clean space that is both dynamic and volumetric while remaining humane and versatile. The mix of vibrant colours and the open circulation flow ensures that every notable attribute of the 450 sq. 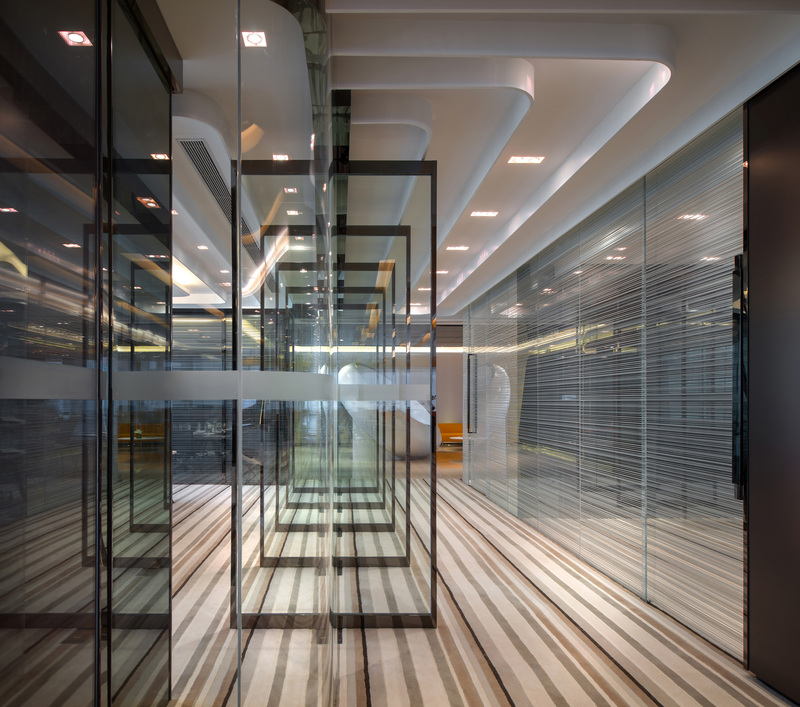 m. office space is highlighted, making it a regional icon as well as a showcase of international office culture. The colour palette chosen creates pleasant, delicate elements throughout while the obstacle-free treatment reinforces the importance of space integration over rigid separation.